Not Your Father’s Bean Counters. The formula is simple... Our Clients success & growth is DIRECTLY related to our success and growth. From individuals to booming businesses, we understand our clients on a personal level. We take the extra time and energy to help our clients achieve their goals by utilizing cutting-edge technology to spend less time counting beans and more time figuring out ways for our clients to get more beans. HD Davis CPAs, LLC was founded in 2007 by Harold Davis, CPA with a unique spin on the traditional accounting firm. In 2009, Harold met and hired a young local accountant who fit his non-traditional mold, Tim Petrey CPA, who helped to uniquely position HD Davis CPAs for the future. In recent years, the addition of new partners Joe Kilgore, CPA and Angela Duskey, CPA have allowed the firm to grow into a local leader in small business accounting, tax and technology consulting. 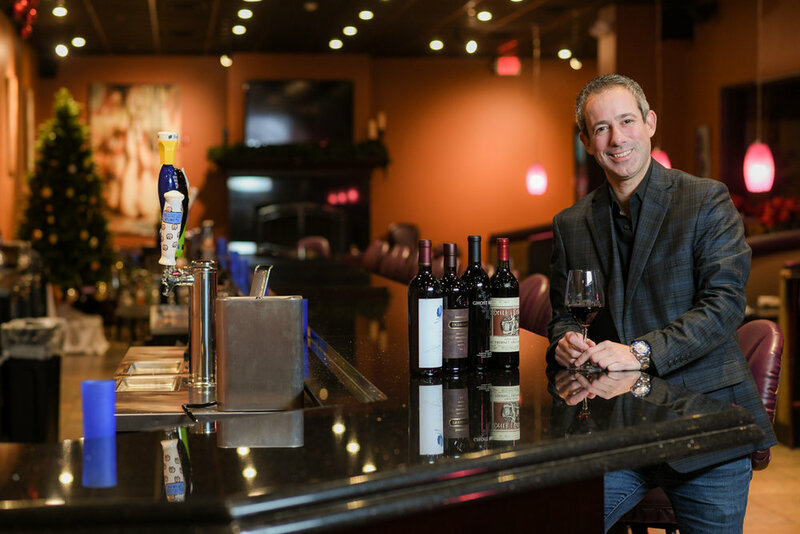 Tim and all of his partners are dedicated to their clients and Youngstown’s success as well, supporting many of the local entrepreneurial ventures. Marianne Hritz has been a certified yoga, Pilates and fitness instructor for over 25 years and has used that passion to become the owner and founder of the area's premier yoga studio, Studio Oxygen. It is also the first Boutique Studio in the Youngstown area, established in 2006. Marianne, a certified life coach, is currently pursuing her Meditation Certification through the Chopra Center (Carlsbad, CA). She loves attending motivational events and encourages her students and staff to learn, grow, practice and make connections: mind, body and spirit. Sabrina Mihaly, Marianne’s daughter, right hand, certified yoga instructor and studio manager, handles the day to day operations of both Studio Oxygen locations, in Canfield and Poland. Whether you’re looking for a restorative and meditative experience, a high intensity yoga session or a spinning class, Studio Oxygen offers classes for all ages and all levels. The ICONS of Youngstown is a unique marketing opportunity that features iconic brands, businesses and people in and around a 5-county area of Youngstown, Ohio. The ICONS Book is an annual publication, complimented by an online component, events and NOW video! Be sure to pick up your FREE copy today at any of the following locations. Youngstown has a great history of entrepreneurism, this book is a celebration of that and our modern day icons. It has been a truly remarkable and humbling experience learning about each and every one of these businesses, more importantly the people. Their stories are truly inspiring. I’ve had the pleasure of learning about how they got started, the risk that’s involved, overcoming challenges, in some cases three to four generations of family ownership and the success stories. We I love the fact that we get to play a part in celebrating the wins and telling the stories. While this is a completely new concept to the Youngstown Region, we are grateful for the the people that embraced this idea and given the Icons of Youngstown Team the opportunity to tell their story. ICONS of Youngstown is currently being distributed at 70+ locations in and around the Youngstown area, we will celebrate this group throughout the year by through our digital efforts via blog and social media. Additionally, we will be hosting by partnering with a number of Icons for events throughout the year. Be sure to pick up your FREE copy today. Get exclusive invites and VIP offers today! Since purchasing Vintage Estate Wine & Beer in June of 2015, owner Jeffrey McDevitt has expanded the business to include 1400+ craft beer labels & 1000+ wine labels while having the distinction of being voted Best Craft Beer Destination in Ohio & Top 5 Bottle Shop in the Country for the last 3 years. These distinctions drive home the quality of the selection and are backed by the expertise of the staff who have over 75 years of combined experience with Vintage Estate. To that point, manager James Sforza is a Certified Advanced Cicerone (1 of only 2 in the state of Ohio). The food menu is famous for the innovative and varied flatbreads, hand stretched with house made dough. The product knowledge and dedication of the employees combine to create the best taste and overall experience, all while creating a fun atmosphere. At Vintage Estate you will enjoy a wonderful, unique experience every time! The ICONS of Youngstown is a unique marketing opportunity that features iconic brands, businesses and people in and around a 5-county area of Youngstown, Ohio. The ICONS Book is an annual publication, complimented by an online component and events. We recently got a chance to catch up with Amy Abruzere, owner of Grey Boutique in Boardman, Ohio, she’s getting ready to celebrate her 1-year anniversary on being in business. Where did you get your sense of style and inspiration from? I love NYC and its vibe that anything goes. Everything about that city inspires me. How would you describe your fashion sensibility? I would say my style is Versatile/City Chic. As you come up on your 1-year anniversary, have you taken a moment to reflect on that journey? I reflect daily - it’s something I’ve always done. Every day is a new day to learn, teach, and make decisions that impact me personally and professionally. Where did the name “Grey Boutique” come from? G R E Y - A mentor told me year after year that my career had been a success because my leadership style is “grey”. Everything is not always black and white. So “grey” is very personal to me. When it comes to styling, what do you typically try to tell your clients? You have to feel confident and comfortable!! You’ve got great customer service and deliver a great experience. Why is that so important to you and your clients? Engaging with everyone who walks in is a most important, and every experience should be different. I love meeting new people and helping them look and feel “their best self”. My beautiful “grey girls” know how important this is. When you aren’t styling Youngstown, what do you do in your spare time? I am a mom of 2 boys so my days/nights revolve around them. Following you on Instagram, it looks like you love to travel…What is your favorite or most memorable vacation? Maui for sure! My hubby and I traveled there 15 years ago! Can’t wait to take our boys there. What’s the best pizza in Youngstown? OMG, if I had to pick 1 it would be “Bella Napoli”! Close second is”Gia’s”. What does the next year have in store for Grey Boutique? Great question…Maybe Grey x2??? STAY TUNED!! Amy Abruzere always had a passion for Fashion. With over 20 year’s experience in retail, it was time for her to step away and follow her dreams. May 29th, 2017 Grey’s online website launched and October 6th, 2017 the store front opened in Boardman, Ohio. Each item in Grey is handpicked by Amy with careful consideration to have the upmost quality, style and of course FASHION sense. With vendors across the globe you are sure to find something you will fall in love with. So why "Grey"? Grey is a feeling much different than dull or sad, rather it’s mysterious and original. Grey exudes confidence. Grey is strong. When you walk into Grey Boutique or receive your package in the mail we want you to feel GORGEOUS! Our mission is to go above and beyond to bring the hottest fashions to you and ensure you have the service and experience you deserve. Making guests feel beautiful from the inside out is what area native, Caroyln Cappabianca Cruz, sets out to do every day as the owner of Magnolias On The Green Salon. Magnolias has been a part of the Mahoning Valley for over 12 years. Carolyn is a third generation stylist, following in her father and grandfather's footsteps, formally barbers in downtown Youngstown. The salon is proud to say they have grown to more than 20 employees, that continually give back to the community through supporting and sponsoring charitable events and causes. Carolyn continues to mentor and train her stylists with continued education to keep on the "cutting edge" of trends. Magnolias On the Green Salon is a dream come true for Carolyn. Thermae is an organic retreat centered around relaxing, detoxing saunas, and holistic therapies. Experience the ultimate getaway with any of the services ranging from massage to skin care and clay treatments that work with the body on a cellular level. Founded in Fort Lauderdale 5 years ago, owners Hilary Cook, Kelly Doyle (not pictured) and David Kapp have expanded to 3 locations. Memberships also available to enjoy the Finnish and Infrared saunas daily. It is Thermae's pleasure to offer you a space to meditate, relax, detox and find peace. Thermae believes education is key to finding the choices that work for your health, your mind and your spirit. The social media doctor is in...Mike Sevilla, MD is a primary care physician that practices medicine in Salem, Ohio. He has a wildly popular blog dedicated to educating people on healthcare related topics and can be found globetrotting the world giving talks on the use of social media and blogging in healthcare. A local guy born and raised proudly in Youngstown, Ohio. After attending Youngtown’s iconic Cardinal Mooney High School, he went off to college right down the street at Youngstown State University and Northeast Ohio Medical University, with a residency at Summa Barberton Hospital and then to Salem Family Practice where he’s been since 2001. Dr. Sevilla is a staple for being the go to for medicine in the Mahoning Valley and routinely is tapped for his expertise on local TV and speaks nationally on a regular basis to physician groups and trade organizations on the use of social media in medicine. Relaxed, refreshed, revitalized. That's exactly how you'll feel leaving Laser Hair Removal and Medical Spas of Ohio. Donna Mikusevich and her staff pride themselves in helping you achieve the best experience by providing services that were formulated with YOU in mind. As a leading medical spa in Northeast Ohio, they make it possible to have and maintain a more youthful appearance with the use of clinical procedures and spa treatments. Combining top of the line services with family values makes this spa stand out from the rest. Donna’s practice offers a variety of skin care procedures for today's every need, with her children, Christian and Brooke, right by her side. Her team of Medical Physician inspired professionals, provide state of the art services utilizing the latest technology, offering everything from basic skin care to invasive injectables and everything in between. Proudly serving the Warren, Youngstown, Niles, and Boardman, Ohio areas. The video says it all…We are featuring ICONS of Youngstown in print, digital, events and NEWLY added video. We’d love to learn about you and your business…Let’s schedule a 1-on-1 consultation over coffee, send us your information today, let’s meet! Are you ready for ICONS? ICONS of Youngstown Movers + Shakers is a unique marketing opportunity that combines the best of print, digital, events and video. Be sure to check out our online version below. If you are interested in marketing your business in our publication be sure to schedule up your 1-on-1 consultation today, complete information below! ICONS of Youngstown - Schedule your 1-on-1 consultation today!!! Angelo was born and raised in Youngstown, Ohio and is the Founder and CEO of Portfolio 22, a multifaceted business and property management company. 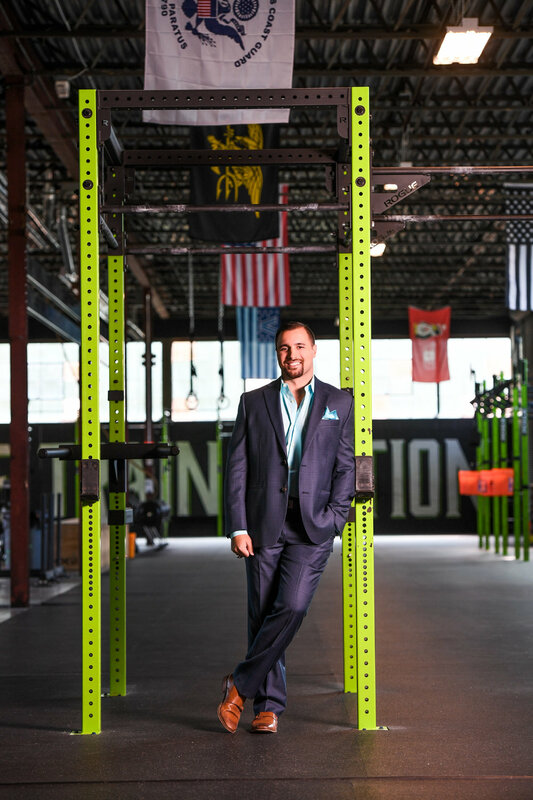 He is also Founder and CEO of The Train Station Fitness, Youngstown’s premier fitness community and the Youngstrong Foundation, a leading nonprofit utilizing fitness to empower kids emotionally, socially, and physically. Since he was old enough to carry a football, his parents have been instilling in him the principles of passion, leadership, and dedication. He was fortunate to earn a football scholarship to Villanova University, being named a three time Academic All-American and winning a NCAA Division 1 National Championship. An entrepreneur at heart and his enthusiasm to help people live a healthy lifestyle inspired him to open up The Train Station Fitness with two locations in Youngstown and Niles, Ohio. Get on board today! Visit the thetrainstation.fit today and for an upcoming event on January 12, 2019! Avalon Golf and Country Club, Has It All! This is more than just a club, it’s the premier golf, wedding, and meeting destination in the Midwest and one of the best in the entire United States. Your resort, your club. Ron and Fran Klingle have built a masterpiece that consists of 3 championship golf courses, the Avalon Inn Resort has luxury rooms available to meet your business travel, weekend getaway, stay and play golf packages, and accommodate your wedding party. Avalon’s decadent offerings include some of the best restaurants, workout facilities, spa and salon, and evening events. Whether it’s for a romantic weekend getaway, your looking to book your next business meeting or a golf club that has the amenities of a resort. Avalon truly has it all! Let’s start off with something everyone from Youngstown has an opinion on - pizza. Who has your vote for number one pizza in Youngstown? Avalon has Partick's vote while Uptown takes the number one spot for Sue. Speaking of Youngstown... What is the best part about being the exclusive real estate partner of Youngstown State University athletics? The free swag...just kidding. The roots of Burgan Real Estate, as well as both of ours, are firmly planted here in Youngstown. Seeing as both of us are alumni of Youngstown State University, the best part to being the only company to hold the title of official real estate company of YSU athletics is continuing our relationship with the University that has been a part of our lives forever. The plans President Tressel and the University have developed has already energized the campus, classrooms and city. To be a part of that allows us to not only heighten the awareness of our brand, as evidence by our national coverage of the Better With Burgan Mortgage Mania Challenge, where a fan hit a half court shot and we paid their mortgage for a year, but also links the two of our brands together in an effort to continue to move Youngstown State University and our city forward in a positive direction. Not to mention, the former Penny the Penguin is now a part of the Burgan Bunch so we're basically family now, right? What are three pieces of advice would you give to college students who want to become entrepreneurs? Find something you love to do and go after it. Most people spend their entire lives doing something they don't have a passion for. Instead of focusing on money or notoriety, find something you love to do and you will never feel like you work a day in your life. The money and notoriety will follow. The second thing is to realize that nothing will be given to you: everything will be earned. Relationships are great and will open up many doors for people, but it is how you take advantage of those opportunities in doing the work and putting in the time to be successful is what will make an entrepreneur. Finally, make mistakes. As an entrepreneur, there will be more failures than victories along the way and that is alright. It is through the toughest times that you realize how badly you want what it is you are seeking, as well as learn about yourself in the process. Without those challenges, you'll never know how you can become better. We know the saying…. “better with burgan” - What sets you apart from other real estate agents in the area? Simple, we don't think of ourselves as "just real estate agents." We don't just buy and sell homes. We are working with people on, what may be, the most important financial decision they will ever make. The decision will impact their lives and our community as a whole. We take that very seriously and have created established three core areas we work on everyday to be, well, better. First, we have a culture that embraces the idea that what we do makes everything better and, to do that, we operate on values that were established more than 40 years ago. We do things with transparency, honesty and integrity. From our involvement in the community to our expertise as the oldest independently owned real estate company in the Mahoning Valley, we are here to make lives of our clients and the community we live in better. We also focus on developing our agents by providing them an environment learn, excel and grow. Just like our clients have dreams, so do our agents, and we want them to know we will do anything to make them come true because they are our family. Finally, it is about a commitment to being financially responsible and successful. Profit is a good thing, and for us, it means that we have more money to reinvest in our Burgan Bunch agents and the community we love, like the YSU partnership or the Habitat For Humanity home built last year. These three things not only make us better people, but viewed differently by our peers, as evidence by our invitation to be only a handful of companies and THE only real estate company in the Mahoning Valley to ever take part in the globally renowned Leading Real Estate Companies of the World MAESTRO Leadership program. What we learn here will only help all of us become better. More than 40 years ago, Burgan Real Estate was founded on a core set of values that guide what we do and who we welcome into our Burgan Bunch family to help making things better for our clients, our community and our company. While it is good to have people who are good REALTORS(R), it is more important that we find good people who fit into our culture. We look for people who want to succeed but not at the expense of everyone else. There are many real estate companies who focus on attracting anyone and everyone to sell homes. We want the right people who believe in our philosophy of doing business with transparency, honesty and integrity, just as much as we believe in their abilities. They meet us, meet our agents, and are evaluated through tools we uniquely have through our affiliation with LeadingRE to evaluate if they have the traits that will not only help them succeed in our culture but help make our entire organization better. We make sure that we partner with agents who have the same strong values which has and continues to guide our organization for more than 40 years. What is one way that operating a business today is the same as 15 years ago, and one way it's different? It is still about relationships. Whether you are one of our most tenured real estate agents or freshly off passing your licensing exam, it is about relationships and listening to your clients. Establishing relationships based on integrity, transparency and honesty ensures that our clients are comfortable with entrusting us with this monumental decision and journey we will go on with them. Today, however, there are so many ways individuals can find, sell or buy their home, with or without a REALTOR(R). The difference today is that more than half of the decision is already made when an individual contacts you to help them buy or sell a home. Because of this, we have to make sure our story and our agents are presented and top of mind for people, whether that is done through social media, grass root efforts or personal connections. We have to continue to contact and stay engaged with everyone because the availability of solutions to sell or buy your home are much more accessible today than, say, 15 years ago. Would you say you’re more of a hunter or gatherer? What's the most interesting thing about you that we wouldn’t learn from your resume alone? Patrick: I love to be out on my boat with my wife and dog, Bobo, who has become our pseudo mascot. Nothing like a good cigar, though. Sue: I love to cycle and my favorite place to do that is our own Mill Creek Park. Oh... and binge watching "The Office"! What was the best piece of advice you ever got in your career? The worst? We watched our fathers grow an idea into one of the largest and most successful real estate companies in the Mahoning Valley. While handwork makes all of this possible, it goes back to the values our company was founded upon. Our fathers both told us that no matter what career path we were going to choose, if you treat people with honesty and integrity, while not just working hard but doing what is right, then success will follow us in anything we aspire to do. They are simple words and a simple concept but, in life, it is easy to forget this. Someone once said, "Don't take too many risks, be safe where you're at." The greatest accomplishments are never done by "playing it safe." We would rather fail on the largest stage and learn what it takes to be victorious, than have small wins that don't build ourselves and our team. If you refuse to take risks to get better and want to content with where you are, you actually are getting worse because there is always someone out there who is taking risks to be better than you. And at Burgan, well, we like being better. Tomorrow isn't promised to any of us but if we have to look into the crystal ball at the future, we know we'll still be enjoying the outdoors and finding the time to enjoy what we have achieved together. We also know we will be leading an even stronger group of Realtors than where we are today, growing and developing them and their businesses to make a positive impact in the community, our company and the clients they service. In 2 decades? The same as 10, just a little wiser and wishing we looked the same way we do now. The Icons of Youngstown is Here!!! We are excited to announce that the Icons of Youngstown print publication officially launched on July 27, 2018. The book was released for immediate distribution, exclusively to our Icons, which you can pick up a FREE copy of this publication at any of these 40+ locations. We will be adding more soon, stay tuned! Our publication features iconic businesses, brands, and people, plus up and comers in and around the Youngstown, Ohio Region, which includes all of the Mahoning Valley. The Icons publication is FREE to pick up at any of the locations below and is a unique marketing opportunity that will be complemented with our online presence via blog, social media and email. Plus there will be in-person networking events throughout the year starting with the launch party. The Icons of Youngstown official launch party is on August 29, 2018, at the Michael Alberini's Resturant in Youngstown, Ohio at 6 - 9PM, RSVP today! Subscribe today to get on our invite list! Be sure to check back in we will be adding places you can pick up the ICONS of Youngstown throughout the year. We routinely refresh supplies, in the event a location runs out we will be back around with more books!!! Want to get a FREE copy of the ICONS delivered to your home or business, be sure to complete the form below and we will get you a copy in the mail ASAP.